Many of you have heard my cries about how fast Axel has grown up, so I'm pretty much in denial that he turns ONE in 16 days! I have been so thankful that the kids are healthy and if you follow me on Instastoy you see how quickly he's become so independent while eating. 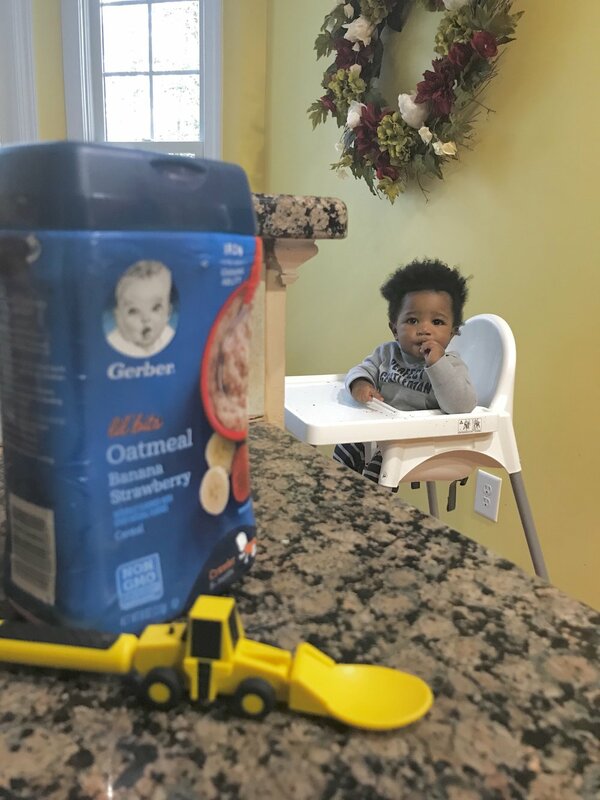 • Single-grain infant cereals are an ideal first solid food to check for food sensitivities and help develop baby's eating skills. • Non-GMO: Not made with genetically engineered ingredients. • No artificial colors or flavors. • Package made with no BPA.